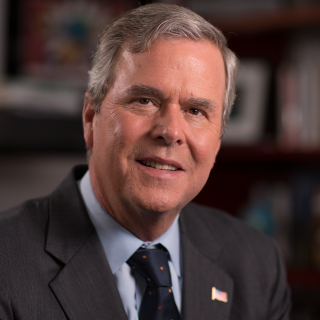 FFA - US Council of Muslim Organizations asks Jeb Bush to drop PAC advisor who supported anti-Sharia legislation. The US Council of Muslim Organizations issued an announcement that they are asking Jeb Bush to drop Jordan Sekulow as a Right to Rise PAC advisor because of Sekulow's support for anti-Sharia legislation. The US Council of Muslim Organizations announcement is provided in its entirety at the end of this email. US Council of Muslim Organizations members include: American Muslims for Palestine (APM); the Council on American-Islamic Relations (CAIR); the Islamic Circle of North America (ICNA); the Islamic Center of Wheaton, the Muslim Alliance in North America (MANA); the Muslim American Society (MAS); the Muslim Legal Fund of America (MLFA); the Muslim Ummah of North America (MUNA); United Muslim Relief; The Mosque Foundation; the American Muslim Alliance (AMA); Baitulmaal; The Mosque Cares (Ministry of Imam W. Deen Mohammed); The Nation's Mosque. Can American Muslim political organizations be any more obvious that they want Sharia to rule in America after reading the US Council of Muslim Organizations announcement posted below? Florida Family Association has prepared an email for you to send to encourage Jeb Bush to ignore the US Council of Muslim Organizations and keep Jordan Sekulow as a Right to Rise PAC advisor. (WASHINGTON, D.C., 3/23/15) -- A coalition of leading American Muslim civil liberties, human rights, faith, and cultural organizations sent a letter today to former Florida Governor Jeb Bush and his Right to Rise PAC requesting that Jordan Sekulow be removed from his position as senior advisor to the PAC because of his long history of supporting anti-Muslim legislation and Islamophobic causes. "We the undersigned American Muslim civil liberties, human rights, faith, and cultural organizations respectfully request that Jordan Sekulow be removed from his position as senior advisor to the Right to Rise PAC because of his history of supporting anti-Muslim legislation and Islamophobic causes. "The Right to Rise PAC 'believe[s] that free and fair opportunity for all is at the heart of what makes America exceptional.' That is why we are certain Sekulow's support for unconstitutional laws and policies that infringe on the First Amendment-protected rights and liberties of American Muslims makes him unfit to advise the Right to Rise PAC. "In 2010, Sekulow and ACLJ filed a lawsuit to prevent the construction of the Park51 Muslim community center in Lower Manhattan objecting to its two block proximity to the site of the World Trade Center. "Sekulow was also a listed speaker at an anti-Park51 rally hosted by anti-Muslim hate groups American Freedom Defense Initiative (AFDI) and Stop Islamization of America (SIOA). Both groups have been listed by the Southern Poverty Law Center as 'active anti-Muslim groups' and by CAIR as part of the 'inner core of the Islamophobia network in America.' SIOA was refused a trademark in May 2011 after the U.S. Court of Appeals for the Federal Circuit sided with the U.S. Trademark Trial and Appeal Board finding that its name was disparaging to Muslims. "While you have not personally endorsed Sekulow's anti-Muslim positions, you and the Right to Rise PAC have clearly endorsed someone who holds strong Islamophobic views. We hope that hiring Sekulow was an oversight and not a validation of his views. Removing Sekulow would resolve this troubling question." * US Council of Muslim Organizations members include: American Muslims for Palestine (APM); the Council on American-Islamic Relations (CAIR); the Islamic Circle of North America (ICNA); the Islamic Center of Wheaton, the Muslim Alliance in North America (MANA); the Muslim American Society (MAS); the Muslim Legal Fund of America (MLFA); the Muslim Ummah of North America (MUNA); United Muslim Relief; The Mosque Foundation; the American Muslim Alliance (AMA); Baitulmaal; The Mosque Cares (Ministry of Imam W. Deen Mohammed); The Nation's Mosque.